Over the last two weeks God has drawn us deeper. Dawn, Hannah and I have been going through a workshop on Keys to a Transformed Life. What’s made it extra special was that we were able to take our missionary colleagues Peter & Jenny Boling and Jim DeWitt. 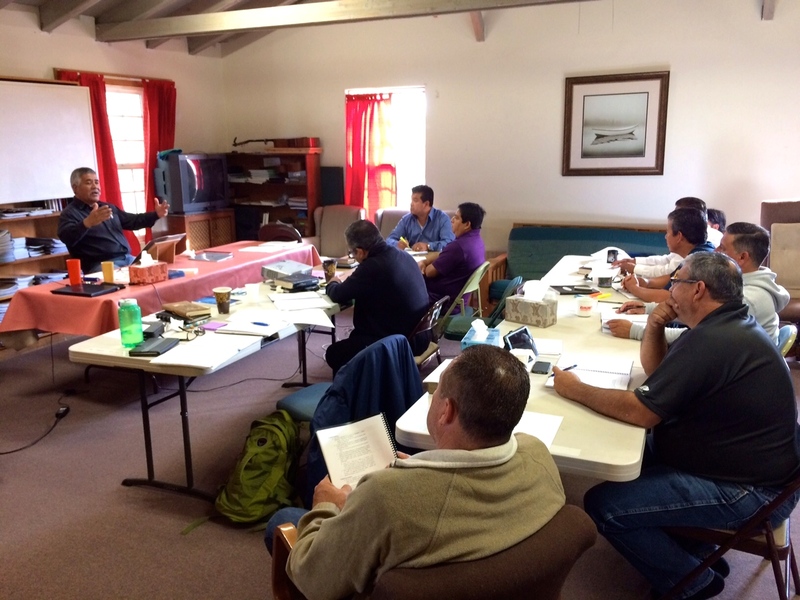 Four pastors from Tijuana and four church leaders from Ensenada also went with us. Two of the keys we spent a lot of time focusing on were forgiveness and repentance. These are bedrock Christian disciplines. On the one hand, they are very basic to our faith. On the other hand, we often struggle to put them in practice. We don’t like to admit that we are wrong. Our pride gets in the way. Yet forgiveness and repentance bring healing. God’s grace meets us at our place of weakness. Luther said that all of life is repentance. James speaks of the benefits of confession, even confessing to one another. A Christian practice that has mostly been lost on the church today. I can’t say that it is easy to open up and share about areas where we are wounded, but it is freeing when accompanied with forgiveness and repentance. Turn to the father. He promises to remove our sin as far as the east is from the west. Learn of the father’s love for you. It’s all part of the upside down kingdom. Where we see a flaunting of sin in the world, God calls us to repent. In many ways that word, repent, seems old an antiquated today. It sounds harsh, and yet it is what the Lord chooses to bring us healing and wholeness. God ministers to us through confession and repentance. That may be a hard passage, but it’s a wonderful promise. Forgiveness is an amazing gift that the Lord offers us. Come and receive his many gifts! 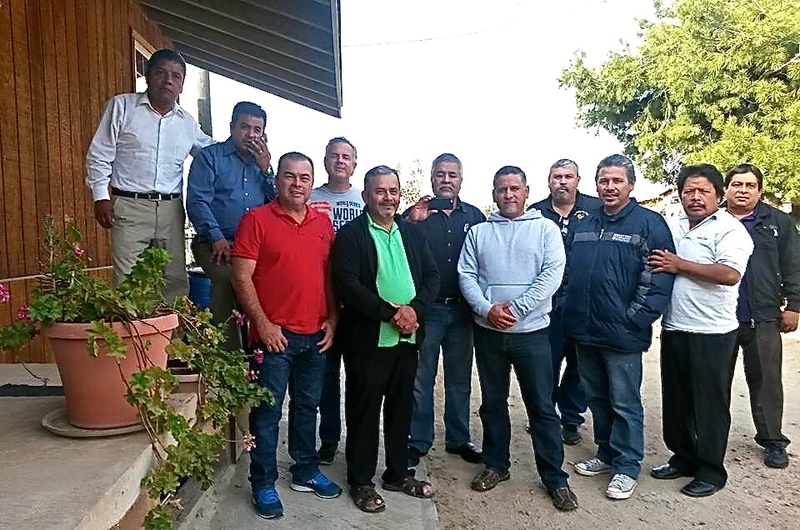 I’m so thankful for the wonderful men that I’m able to serve the Lord with here on the border. They are choice servants of the Lord and special friends. It also gives me great joy that Dawn and I can come alongside pastors and their wives. Sometimes I feel like I’m living in a dream, since God has called us here. It’s not that we haven’t had more than our share of trials that can make the dream feel more like a nightmare. Yet, despite the low times. Despite the valleys. There are also so many good things, so many things to give thanks for. One of those things that I give thanks for is the people we partner with. They are not only wonderful partners in ministry, but they are outstanding friends. Just this morning I had breakfast with Jim DeWitt with Mission to the World (MTW) and Jaime Rodriguez, pastor of Lo Mejor del Trigo La Morita and Bridge church. Jaime loves the Lord, and he loves to serve Christ. He is very sensitive to God’s leading and direction. I learn from him. Valentina, Jaime’s wife is a jewel. Dawn and I feel privileged to minister with them. Pastor Daniel Nuñez is another wonderful friend that I’ve enjoyed getting to know and serving with over the last 4 years. Daniel’s wife, Yolanda and their whole family have become very special to us. God has blessed us with so many good people that we work alongside that I don’t have the space to mention all of them in this post, although if you follow my blog you will read about them if you haven’t already. This week I’m in San Antonio de las Minas going through a workshop on Keys to a Transformed life and I have three pastors, and three missionaries here with Dawn, Hannah and me. Pastor Ivan Casados, Pastor Jaime Avila and Pastor Mario Perez. Fellow MTW missionaries Peter and Jenny Boling are here along with Jim DeWitt. Last week Pastor Felipe Hernandez was with us along with his wife, Laura. 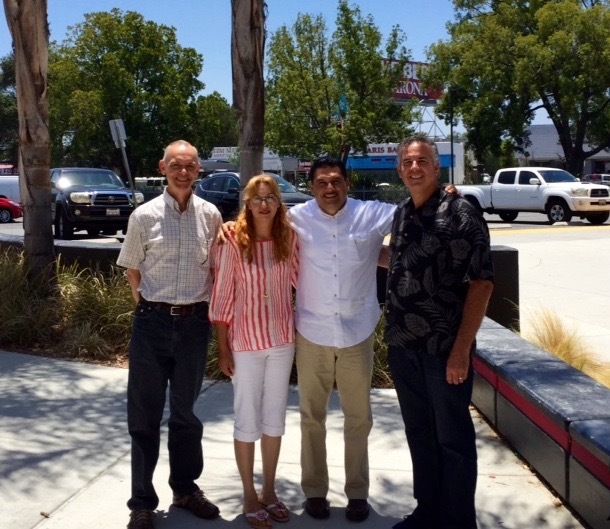 We also had 4 leaders from the Nueva Jerusalen church – Jesus & Yudy Petrikowski and Jorge & Luz Salazar. Such special people! Thank you Jesus for our friends. O Lord, do meet them at their point of need. Do work in their hearts and draw each of them nearer to you. Use us for your glory and she your kingdom extended on the earth! Amen and Hallelujah! Life Transformation with 10 leaders in San Antonio de las Minas near Ensenada. Last week the Lord gave me the privilege of going through the Keys to a Transformed Life with the pastors from Lo Mejor del Trigo. Our friends from Ministerios Fuente de Gracia (Ministry of Fountain of Grace) led us during the week. God showed up! It was thrilling to be a part of this group. 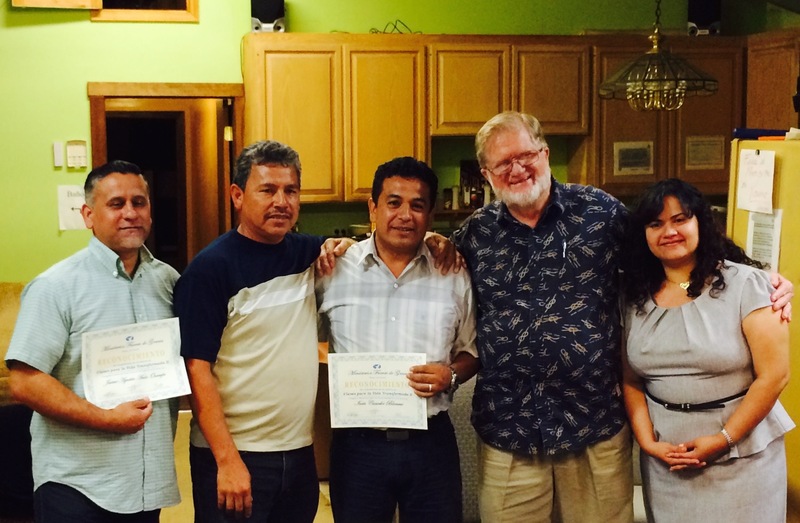 I’ve worked very closely with pastor Daniel Nuñez and many of the pastors with Lo Mejor del Trigo over the last 4 years. They are wonderful partners in the gospel, and I thank the Lord for what he is doing in and through these pastors. As I’ve come alongside these leaders I’ve seen the needs they have. We’ve shared together over meals and while ministering together. I feel honored that I am able to get the time with them. They are outstanding leaders who love Jesus. Most of them are bi-vocational pastors, which is extremely difficult. Martin Luther said that, “all of life is repentance.” In fact forgiveness and repentance were among the key lessons that we learned while in San Antonio de las Minas. We shared deeply in small groups. We confessed our sins to one another. In that time God showed up in a special way and met us at our point of need hallelujah. Confession isn’t easy. It is painful, but God meets us there. As we humble ourselves he enters in and brings healing. The Lord desires that we walk humbly before him. He works in and through our humility. Thanks be to God! I look forward to what the Lord is going to do in the lives of these pastors, and how it will strengthen their churches. O Lord, do a great work through these men. Do a great work first in their families and then in their churches. Be Glorified in their lives, and let the spark that was ignited this last week be only the beginning! One of the things that we are praying for on the border and the Baja is for life transformation which will bring about revival. Join us as we look to the Lord for a work that only he can do. God is on the move on the border in some amazing ways! 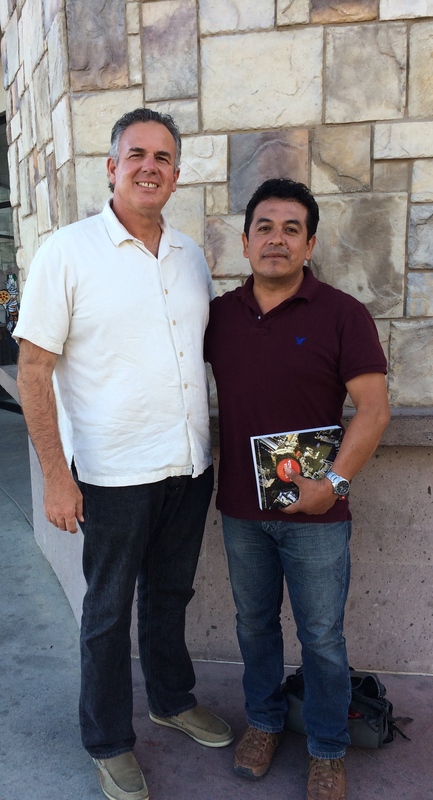 I always come away encouraged after meeting with the pastors we are working with in Tijuana. Pastor Ivan Casados shared with me how God is working and bringing transformation in the lives of people in his young church plant. One of the women in his church, we’ll call her Frida, has experienced life transformation as God has entered into her life. Frida is the mother of four. She had been with four different men, similar to the Samaritan woman. Frida was not a good mother to her children. She would go out with men and leave her children to fend for themselves. Some days they would not have any food and she went out to dance and have fun with her lovers. She felt like she needed these men, because they provided financial security and made her feel like somebody cared for her. Yet, these men were taking advantage of her, and she was neglecting her family. God pursued Frida and she gave her life to Christ. She told the men to leave. It was hard for her, but now she is headed in the right direction. Frida’s life was changed and she is now caring for her children. 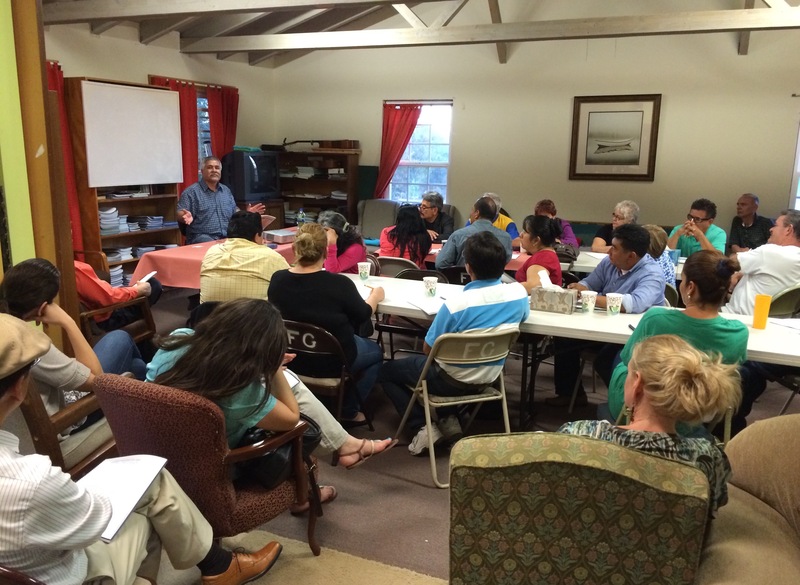 She’s growing in her faith in the Rivera del Bosque church that pastor Ivan Casados leads. Ivan says that Frida has become an evangelist. She is telling everyone she works with about Jesus and inviting them to church. Isn’t it encouraging to see how Jesus changes lives?